As per Fitch, government officials have indicated that capital injections are to be targeted at supporting lending growth. As the public sector banks (PSBs) are passing through a bad phase, the government is striving hard to solve their problem either via recapitalisation or consolidation move. Highly stressed with gross non-performing assets (GNPA), the PSBs' ability to lend has also hampered, resulting in weak earnings since past few quarters. As of September 2017, their gross NPAs stood at Rs 7.34 lakh crore. On the government announcement of a recapitalisation package of Rs 2.1 lakh crore for PSBs, Fitch Ratings on Wednesday said the move will increase the average core capital ratio of state banks. Besides, it will also help in addressing shortages that weigh on banks' viability ratings and performance. Fitch is not alone optimistic on this, Moody's Investors Services also stated last week that the recapitalisation can help PSBs narrow their credit and stressed asset weakness. Alka Anbarasu, Moody's Vice President and senior analyst, said, "The capital infusion will also help public sector banks build their provisioning coverage ratios as they will be able to allocate much of their operating profits towards loan-loss provisioning without having to worry about the impact on their capital positions." Under the recapitalisation package, Fitch highlighted that only the healthiest state banks – generally the larger ones – will be the main recipients. It may be noted that government will front load the capital injections it plans to provide through recapitalisation bonds over the next two years, with the first tranche of Rs 80,000 crore. Teresa John, Research Analysts at Nirmal Bang, said, "Estimates by our banking analyst suggest that capital infusion by the government will fall short of provisioning requirements for most public sector banks including the second and third-largest state-owned lenders - Punjab National Bank (PNB) and Bank of Baroda (BoB). The only exception is likely to be State Bank of India or SBI where capital infusion will be marginally higher than the provisioning requirement." If the government plans to prioritise large PSBs, it would mean that banks currently under the Reserve Bank of India's (RBI) prompt corrective action (PCA) will not receive any benefit of the recapitalisation. PCA framework is one of RBI's tool, which involves monitoring of certain performance indicators of the banks as an early warning exercise and is initiated once such thresholds as relating to capital, asset quality etc. are breached. Eleven of India's 21 state banks, including most small- and mid-sized banks, are in PCA. 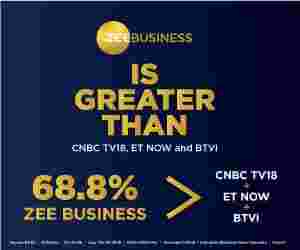 They are – Bank of India, IDBI Bank, Indian Overseas Bank, Bank of Maharashtra, United Bank of India, Dena Bank, Corporation Bank, UCO Bank, Central Bank of India, Oriental Bank of Commerce and the latest one being Allahabad Bank. Meanwhile, banks in PCA are more likely to shrink than expand as the RBI attempts to steer them toward stronger capitalisation, says Fitch. 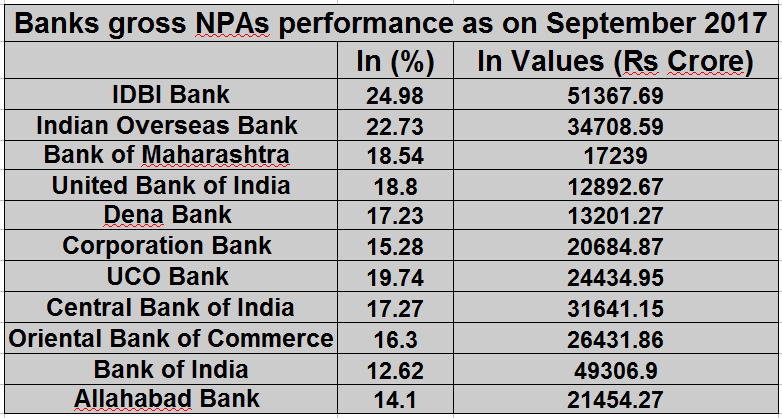 Not only this, these banks in PCA has the highest possibility in coming under government's consolidation mechanism. In November 2017, the Ministry of Finance laid out few measures for consolidation of PSBs, saying that the proposal received from banks for in-principle approval to formulate schemes of merger will be placed before Alternative Mechanism (AM) panel. The consolidation decision is not something new to India, the move was first suggested in the year 1991, but it materialised when largest lender State Bank of India (SBI) decided to merge with six associates on May 2016. Earlier, Moody's stated that poor corporate governance has been structural credit weakness at PSBs, and managing all 21 has proven to be unwieldy for the government, which has been unable to pay sufficient attention to key issues such as long-term strategies and human resources. “Consolidation would address some of these issues,” said Moody's. To avoid entering in PCA framework, some of the small sized banks are taking all measures to stay afloat in the business. Recently, the Indian Overseas Bank proposed to utilise the balance in its Share Premium account worth Rs 7650.06 crore to set off its accumulated losses of Rs 6978.94 crore, as of March 2017, to present a true and fair view of the financial position of the bank. On IOB's decision, Fitch stated that it illustrates the difficulties faced by some undercapitalised banks as they try to avoid skipping coupon payments on loss-absorbing instruments. The rating agency explains that only two other banks in serious financial distress have been allowed to take this option in the last two decades. IOB may set a precedent for other weak banks to clean up their balance sheets in the same way. Nevertheless, Fitch said, the prospects for system-wide credit growth remain weak. "A significant proportion of new capital could still eventually go toward absorbing loan losses, even at healthier large banks, given uncertainty over the size of haircuts banks will need to take on bad loans," Fitch added. NEXT STORY: Will Inflation surpass RBI's FY18 target, remain modest in FY19?